The Montezuma quail is a secretive gamebird native to the mountainous regions of Mexico and the Southwestern United States. In Texas, the Montezuma quail can be found in the mountains (Davis, Del Norte and Glass) and hills of West Texas and the southern Edwards Plateau. They have been studied primarily in Arizona, Mexico and, to a lesser extent, West Texas. However, little research has been conducted on this species in the Edwards Plateau. Historically, these birds were found in nearly every county within the Edwards Plateau, but due to overgrazing by livestock and fire suppression-, their populations declined sharply during the past century. By the 1970s, Montezuma quail in the Edwards Plateau were reportedly restricted to a handful of ranches centered in and around Edwards County. Later, this species was documented in several other localities by researchers (Albers and Gehlbach 1990 and Gonzalez-Sanders 2008) and now retired Texas Parks and Wildlife Department biologist Sylvestre Sorola. Although it is known that a population of Montezuma quail existed in the Edwards Plateau into the 90s, their population status to-date is unclear. Conflicting reports suggested that this species was rare and uncommon, while simultaneously, sightings by private landowners have increased over the past 10 years. 1. 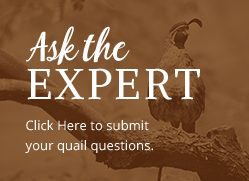 What is the current geographic range of the Montezuma quail within the Edwards Plateau? 2. What constitutes their habitat? 3. How can we refine occupancy sampling techniques for this secretive species? During 2014, we began a pilot study to locate Montezuma quail by conducting call back surveys through various ranches and along roadways across the southern Edwards Plateau. Call back surveys were conducted by playing the buzz call of a male Montezuma quail and waiting for a response or “call back.” Montezuma quail were detected on 12 separate ranches in addition to several locations along roadsides. Beginning in 2015, we quantified 1) the vegetation community to define Montezuma quail habitat and 2) weather to understand variables affecting their calling phenology. habitat in the Trans Pecos region is about 2.3 million acres. across the region and found that the majority of occupied sites were located on hillsides (55 percent) and hilltops (35 percent). Only 10 percent of survey sites were occupied in valleys. Furthermore, occupancy rate decreased as juniper coverage increased. As a comparison to these occupancy rates in the Edwards Plateau, nearly all sites sampled in the Davis Mountains of West Texas were occupied during Gonzalez-Sanders (2008) study. Another aspect of our study was to determine the best conditions to survey for Montezuma quail via the “call-back” method. Montezuma quail are not only secretive by preferring to stay hidden, but their response to calls (the best know method of sampling) is variable. During the two years of our study, Montezuma quail responded to our calls during every month sampled (March – August) and during a wide range of weather conditions. However, most call backs occurred during April when morning temperatures were relatively warm (72 – 77 degrees), humidity was high (more than 86 percent), atmospheric pressure was moderate (948 – 955 hPa), and wind speeds were low (less than 2 mph). Call backs were most likely to occur just before a rainstorm, regardless of the month (March – August). We will be using our data to refine our survey window in the Edwards Plateau to the months of April and May when attempting to find other occupied ranges. In addition, survey locations will now be located in proximity to hillsides and hilltops to maximize the chance of receiving a response. Over the next year, we will continue to analyze data and survey for these birds on the periphery of their known range. If you are aware of Montezuma quail located outside the distribution outlined in Fig. 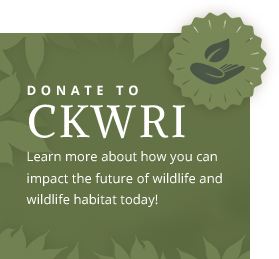 2, or if you would like to make a contribution to Montezuma quail research, please contact Dr. Eric Grahmann at the Caesar Kleberg Wildlife Research Institute at (361) 522-9868 or eric.grahmann@tamuk. edu. We would like to thank the private landowners for access to their properties to conduct this research, TPWD for funding and assistance, and South Texas and San Antonio Quail Coalition for funding.